For the past six years, I have been on a journey. My destination is a long way off, perhaps unreachable, but I continue heading toward it because it is the only direction I can go. This journey of mine has taken a toll on my body, mind, and spirit. “I can’t do this anymore – I give up”, has been declared countless times. But I can do this – because I have to. 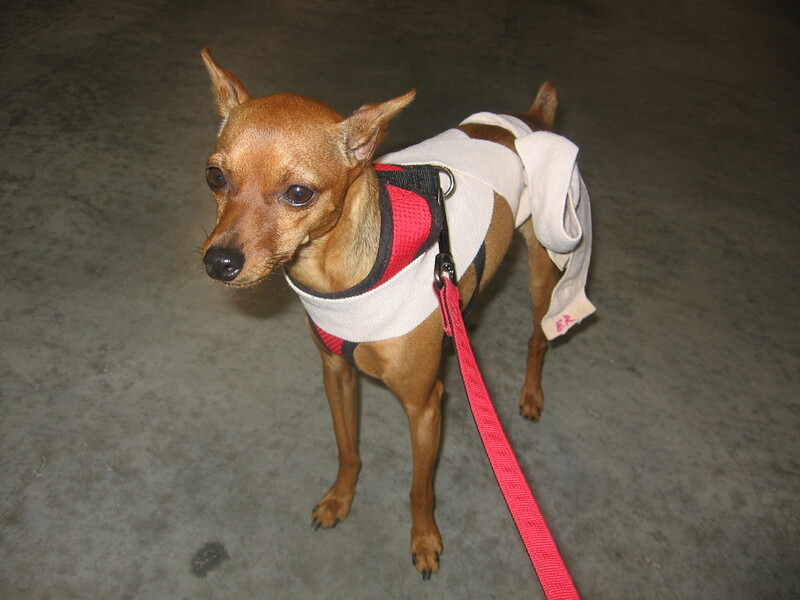 Making the decision to rehabilitate three reactive Miniature Pinschers is an undertaking of epic proportions. It requires a commitment of vast amounts of time and energy, as well as patience and perseverance. For me, this was never a choice, but a responsibility that was owed to my dogs. The rehabilitation of reactive dogs is a long, arduous process and my journey has been a continuous uphill trek from the beginning. 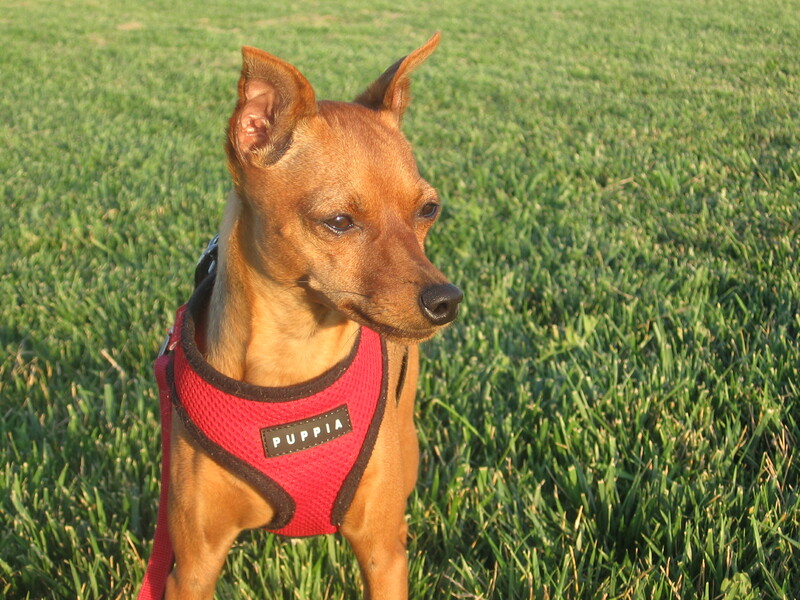 For starters, Miniature Pinschers are extremely hypervigilant dogs, and mine have the watchdog act down to a science. 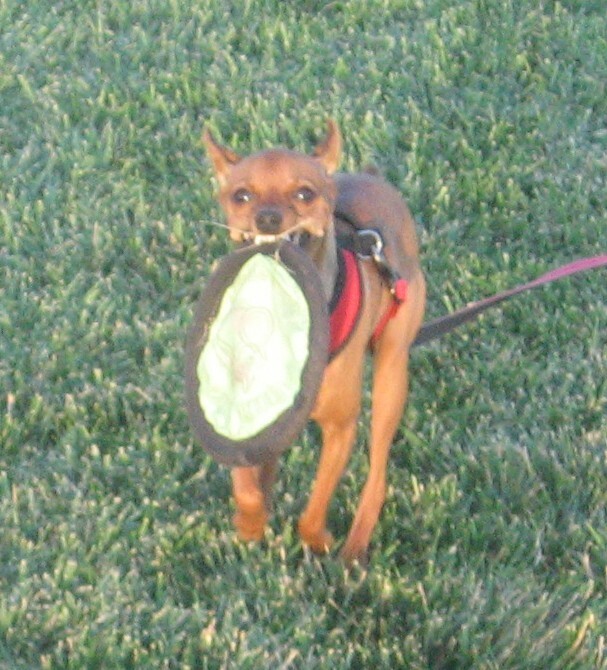 Always on high alert and extremely wary of strangers, the traits of a Min Pin appear to be the perfect ingredients for reactivity. Not only do I have one of this breed, but a litter of three! Pack mentality has been a roadblock to progress as well. It is difficult enough dealing with one reactive dog, but when you are attempting to train a trio, it raises the challenge to a whole new level. As discussed in a previous post, Reality Barks, one of my greatest enemies has been the doggie domino effect. I realized early on that my crew would need specialized training if we were to have any hope for success. But what did I know about dog training, let alone the kind of training that would be required to rehabilitate my dogs? The puppy training books that I had read were useless since they did not discuss the reactive behaviors in which I was dealing. What I needed was a manual that focused on raising multiple reactive dogs. Well, as it turns out, none exist. Educating myself was the first step in attempting to meet the unique needs of my dogs. Searching the Internet, I found articles and books that focused on specific canine behavioral issues. 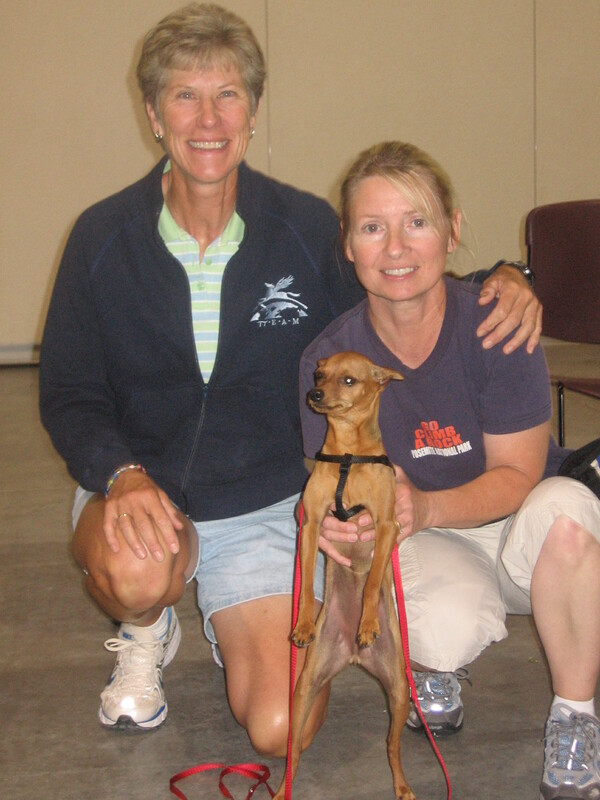 The concepts and methods presented are geared towards fearful/reactive dogs who require more than basic obedience training. Authors including Pat Miller, Leslie McDevitt, Patricia McConnell, and Jane Killion became my mentors while Amazon became my new best friend as I amassed a compilation of books that would rival your local public library. 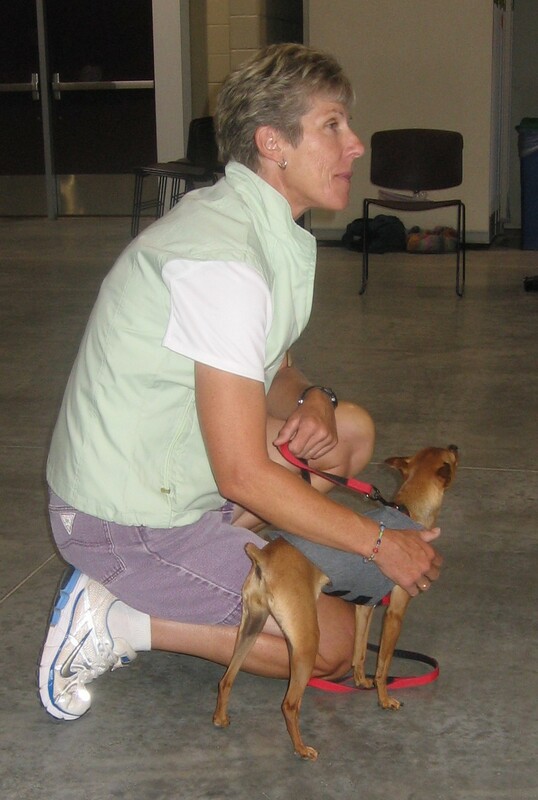 With my guide books in hand, I began the monumental task of rehabilitating my reactive dogs. Progress has been painstakingly slow, and regression is too frequent. I have taken wrong turns, encountered detours, and reached dead-ends while on this journey. Frustration and exhaustion have become second nature and are a part of my everyday life. 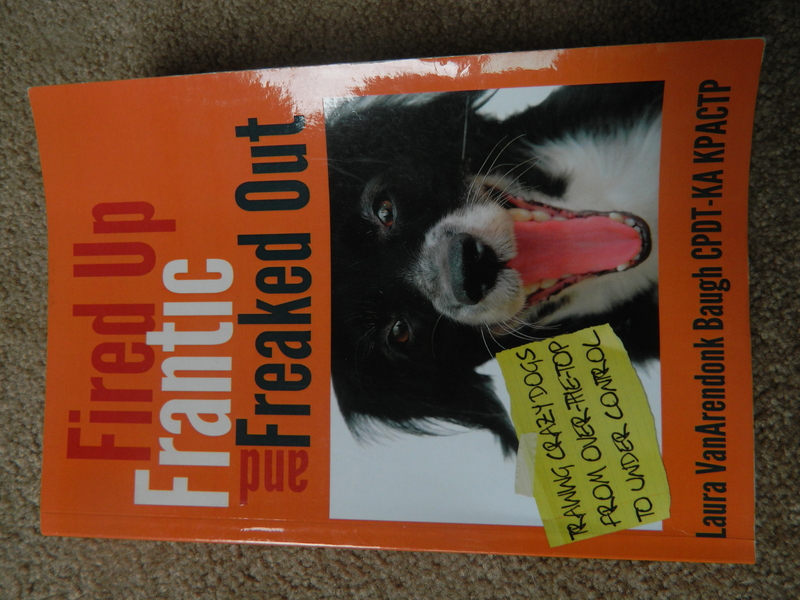 Currently, I am reading Fired Up, Frantic, and Freaked Out by Laura Van Arendonk Baugh. A true gem, this book first hooked me with its title which seemed to capture the very essence of my Min Pins. The theme of this book is “training crazy dog from over-the-top to under control”. This recent addition to my collection may become my bible! Always a realist, I know that my dogs will never be “bomb proof”. After all, they are Miniature Pinschers! As I continue striving to rehabilitate my dogs, I try to remain optimistic about the future. The road I am on stretches before me, so I will keep walking forward with faith, determination, and three Min Pins by my side.